So, what are paper towns? John Green explained it in his 2008 movie of exactly the same title that paper towns are not real places "but names of places on maps... created to protect against copyright infringement." In the book and in the movie, the paper town Agloe was featured. Agloe is real, not as an actual town but a landmark in Delaware County, New York after the General Drafting Company designed this dirt-road intersection as a copyright trap. Otto G. Lindberg and Ernest Alpers, founders of that company, got the name from their initials which I highlighted. It means that if you copy General Drafting Company's map, you might've also copied Agloe which would be a proof of copyright infringement. Wise, right? Agloe continue to appear on maps as recently as the 1990s but now has been deleted according to the Wikipedia. However, it still appears in Google Map. 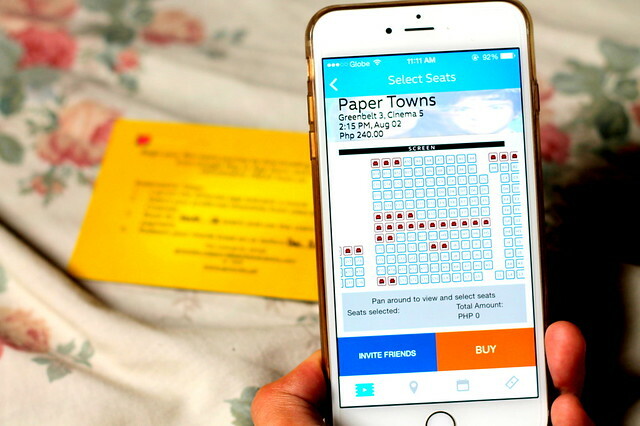 The journey to discovering what paper towns are began when I downloaded the GMovies app and found out which cinemas were screening the movie. Unlike paper towns, these seats aren't fictitious! The red ones were taken and the blue seats were available for reservation some 24 hours before the actual screening. Tadaa! My e-ticket! No need to print this. I just presented this ticket to the porter stationed at the cinema entrance and I conveniently got inside. No queues. No lines! Here was a reminder from the app 2 hours before the movie started. You booked for the movie conveniently. Missing it would be very bad. 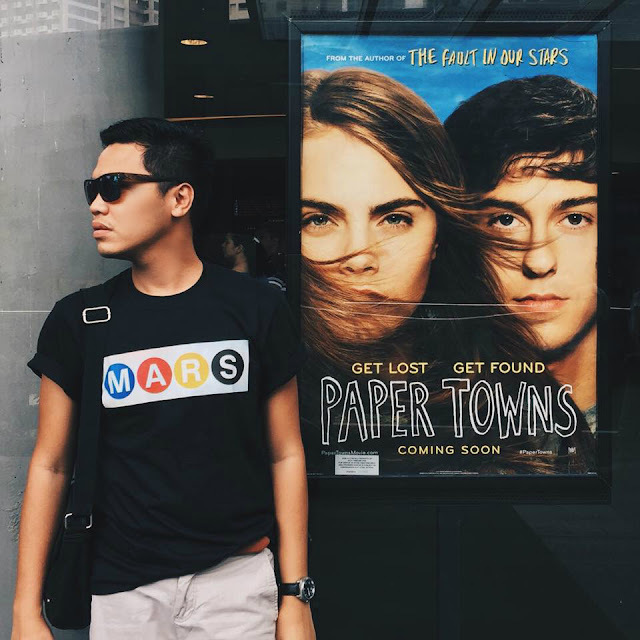 I didn't know anything about paper towns until I watched the movie two weeks ago. I've heard stories that movie houses showing the film "Paper Towns" are full so I kind of watched it late. 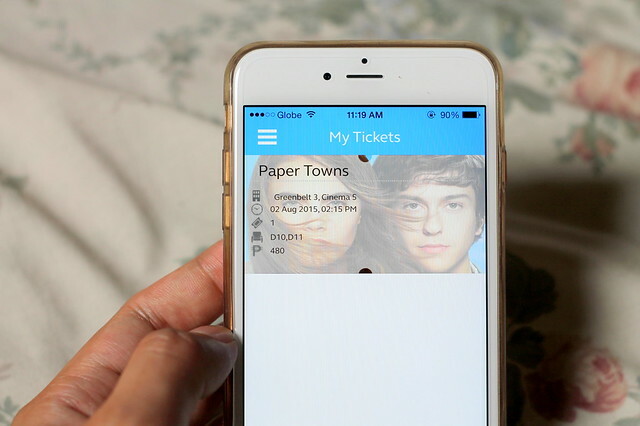 Thanks to GMovies, one of Globe's very reliable mobile apps, which made my life easier for allowing me to book in advance. 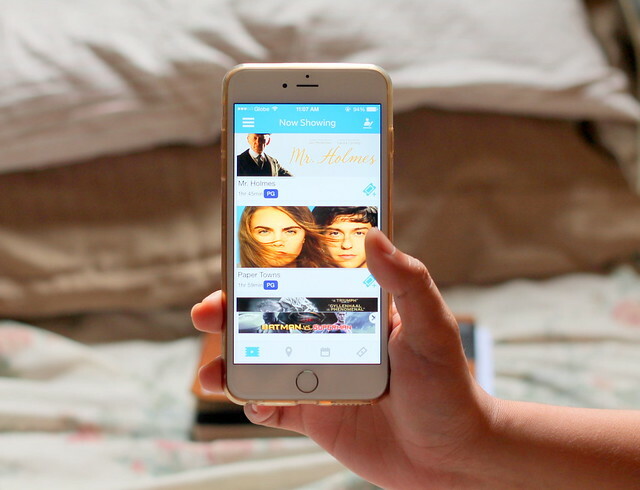 You can download the GMovies app on your smartphones (Android and IOS) for free. You'll never have to worry about running out of good seats or having to wait in line! Schedules and available seats are posted on the app. You can book tickets straight from your mobile phone and you can pay it via credit card, Ayala Malls' Mpass card or a promo code. 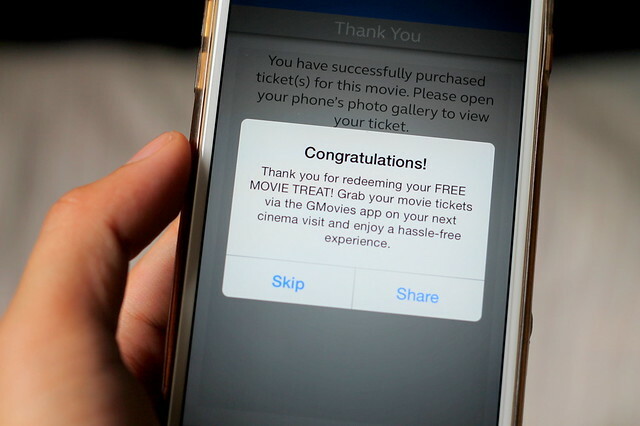 Once you complete the transaction, the app will auto download the GMovies ticket on your phone which has a bar code. No need to print! 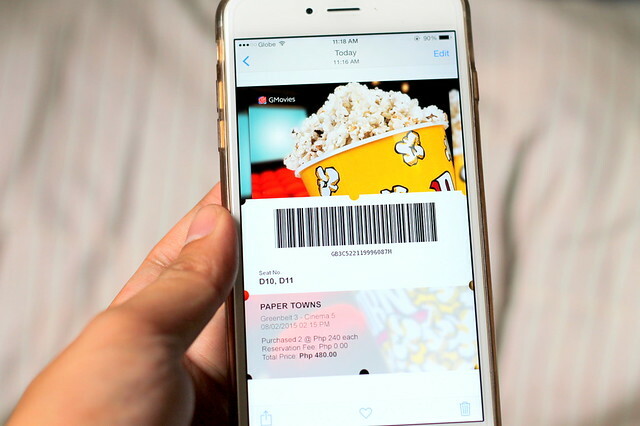 You can just show the ticket on your phone to the porter right at your assigned cinema's entrance. Convenient, isn't it? After discovering what paper towns are, which movie to watch next? You better download the GMovies app now.